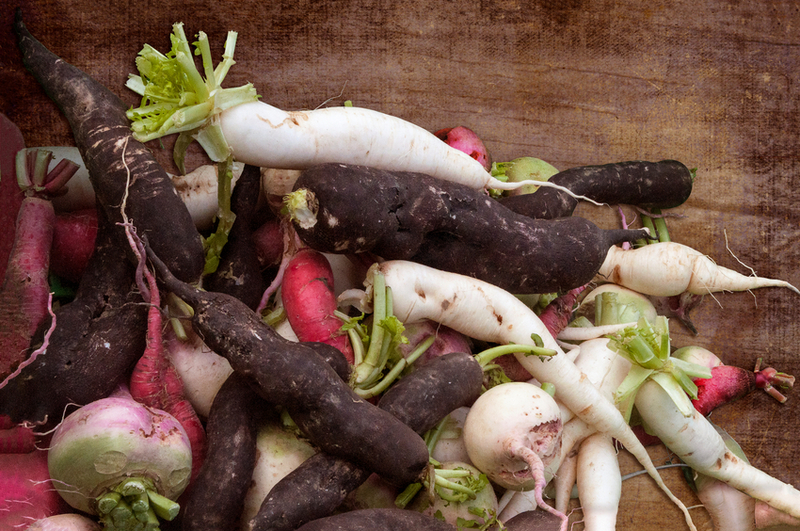 Root vegetables are great for grounding us when we feel unfocused, nervous, anxious, stressed or over-stimulated. They are exactly what you need when you feel like the world is spinning out of control. In fact, they are nature’s anti-anxiety prescription. Root vegetables burrow deep into the ground. They grow slowly and absorb the nutrients from the soil in which they grow. Therefore, they have a strong downward energy and provide hearty, sustainable fuel. Some good choices are onions, potatoes, sweet potatoes, carrots, turnips, parsnips, daikon radish, rutabagas, beets and burdock root. These vegetables from deep in the earth have exactly the opposite energy as the processed foods that crowd most supermarket shelves. Processed foods like bread, cookies, crackers, donuts, cereals, candy bars, protein bars and sodas are as dead as they possibly can be. They have been stripped of all nutrients and anything that could possibly spoil or go rancid. Then they're packed with sugar. It’s true that sugar and processed carbohydrates give you quick energy. But it is also nervous energy. If you are already feeling anxious, sugar will just make things worse. It can also make tempers flare. Roots on the other hand will calm you down and make you focused. They will clear your head and allow you to get control of emotions. The amazing power of root vegetables was proven to me by a friend’s daughter who was in high school. Melanie was active in theater and had been performing before audiences since she was 3 years old when she began to give piano concerts. Then, all of sudden in her first year of high school, she developed paralyzing stage fright. Her voice and music coaches didn’t know what to do. Her parents wanted to take her to a psychiatrist or put her on prescription beta blockers or anti-anxiety medication. What was really going on with Melanie? Her mother said that she had recently become a vegetarian like many teen-aged girls who refuse to eat anything with a face. So what was she eating? In the morning she usually ran out of the house with a glass of orange juice and a cereal breakfast bar. For lunch she packed a peanut butter and jelly sandwich on whole grain bread. For dinner she would have pasta and maybe some salad. Melanie had fallen into the same trap as many girls who become vegetarians: she hardly ever ate an actual vegetable and she was eating lots of processed carbs. Her next performance was in three days. I asked her mother to make a big pot of root vegetable soup with onions, garlic, vegetable stock, carrots, potatoes, sweet potatoes, turnips, parsnips, rutabagas, beets, and anything else she could find that grew underground, and feed it to Melanie for the next three days. Melanie’s stage fright disappeared and she gave a fabulous performance. Whenever Melanie had a performance after that she asked “Mom, where’s my soup? Did you make my soup?” She hasn’t had stage fright since. That is the power of the right food at the right time. What happened with Melanie was that she was full of nervous energy and she needed to calm down, get grounded and steady herself. The roots do that for her and they can work the same way for women in menopause who often report feelings of anxiety. Try making a big pot of root vegetable soup when you feel nervous or anxious or have a big meeting or presentation coming up. It can help keep you grounded and focused. 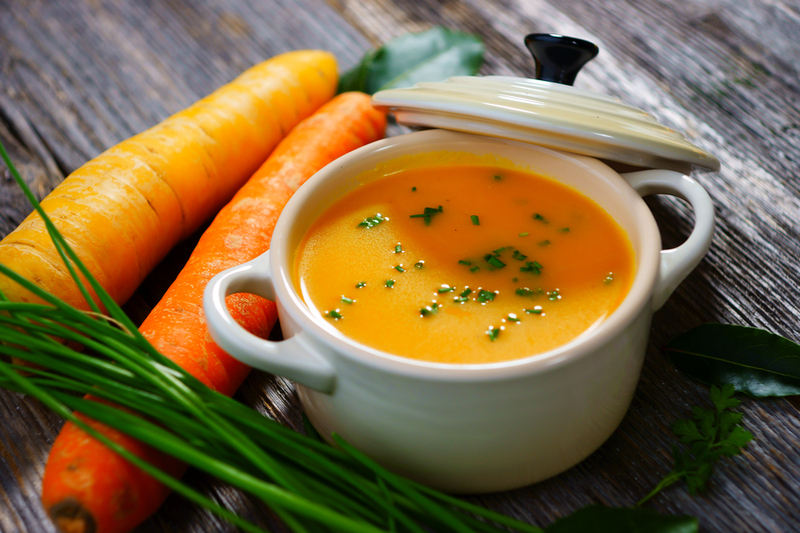 Click here for an easy recipe for root vegetable soup.